…lautete die Aufgabe. Lass mich wie ein Alien aussehen – eine simple Aufforderung an Photoshopper in aller Welt. Ich muss gestehen, diese Idee ist nicht ganz auf meinem Mist gewachsen, sie entstammt meiner Faszination für das Experiment, welches die freie Journalistin Esther Honig vor einiger Zeit unternommen hatte. Mit “Make me beautiful” startete sie online einen sozio-kulturellen Versuch, um dem Thema Schönheit auf die Spur zu kommen. Mehr dazu findet ihr HIER. Nicht ganz sooo ernst gemeint, dafür aber meinem Interesse für den “First Contact” geschuldet, habe ich mein verkniffenstes Gesicht aufgesetzt, mich unrasiert und im Schlabberpullover vor die Linse gestellt und die kreativen Geister auf diesen Schnappschuss losgelassen. Wie stellt man sich ein humanoides Alien vor? Gibt es bestimmte Klischees, Vorstellungen? Pixelbastler u.a. aus England, Pakistan, Bangladesh, Indien, Amerika, Sri Lanka, Venezuela haben sich daran versucht. No long talk, here is the link to the ebook and this one brings you directly to the print version. Have a look and let me know, how you like it! Due to technical issues I lost many posts. I will try to fill the gaps in the coming time. Since I rather want to look forward, I wont re-create the old posts. There are too many new projects and things going on here. So, just some updates, some HAVETOKNOW stuff, and then let’s go on. Connor sits on a tree stump and squints into the sun. He was last here three days ago, had just quickly tossed shovel and spade under the large spruce beside the hut and then, with hurried steps, made his way home in the rain. It wasn’t all that far from the house to here, his favorite spot, the garden. But he liked cold downpours as little as he liked his annual visit to the dentist. He quickly left the field behind him, but he only managed the stretch across the bare ground with a lot of cursing and effort. His boots constantly got stuck in the mud, sucked in firmly. Just a few meters from the house, he had to take them off altogether and pull them out of the treacherous ooze using both his hands. In a foul mood, he then slip-slopped up to the house porch in sodden, filthy socks. 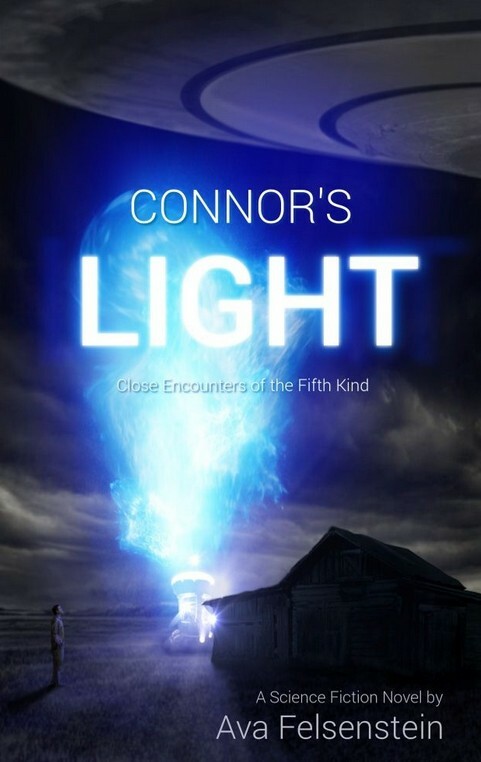 Connor gives an involuntary shiver at this memory: the drenched shirt, mud encrusted jeans, and, to top it all off, sodden feet – too much for him on that evening. Even now, with the ever present sun, he thinks he can still feel the cold shirt, the way it sticks to his back, chilly and damp. Since he arrived here a few years ago, in this raw, unspoiled wilderness, it had bothered him less and less that nature does not provide the usual amenities of a modern city apartment. No, nature is at least as capricious as he is in this regard. Sometimes he had to make do with the little natural produce that he found here, sometimes everything proliferated in superabundance. He knows by now how to deal with this and is less outraged if the crops he has so carefully cultivated have provided a tasty midnight snack for the native wildlife yet again. Since his arrival, he has established an extensive cultivation, there’s plenty of land available. Sure, there are a few fences, but they aren’t really helpful. Even now, the deer still manage to make inroads into the inner garden. The previous week, the motion sensors had torn him from his sleep and, despite the cold and dark, he had dashed down to the field, armed only with a flashlight and his bathrobe. Only to find that the herd of herbivores had already high-tailed it thanks to his noisy attack – with one exception. One of the cloven-hoofed animals, clearly young, was running panic-stricken up and down the fences, looking for a natural escape route. It evidently wasn’t able, in its stressful situation, to recognize the short cut over the comparatively low picket fence as its salvation. Connor opened the garden gate and, so as not to distress the animal even more, went slowly across to the opposite side of the plantation. In the meantime, the hoofed animal had become a little less frantic and was watching this biped. Warily and uncertainly, it skittered first this way, then the other again, and finally – jumped over the fence after all. Grumbling, Connor traipsed back to the house in the shoes he had quickly slipped on his feet. It takes a while longer for him to calm down. The obligatory look at the sky helped here. Out here it’s starry, bright, full of overwhelming light contrasts. No street lights, no skybeamers from clubs and amusement parks, no smog like in Port Allegany back then. Although even that was probably nothing compared to L.A. or some other urban colossus. Connor loped into his abode, let the door slam emphatically shut behind him. As if to underscore his last thought. A gulp from a mug of tea, quickly tousle his hair, and the deer as well as the starry sky made way for a rustic snore. This little incident occurred a few days ago now, but the fence is still only protected with motion sensors. “But I’m here now,” yawns Connor, squints quickly into the midday sun again and gets to his day’s work. Tonight, the motion sensors ought not – if they’re set off – to wake him up any more, but set off a cascade of battery-powered motors, whose rattle mechanism could even drive off a Sasquatch. When evening creeps in, the construction is finished. Connor, relaxed and satisfied with his work, can devote himself to the view of the firmament. At the moment, only the brightest stars can penetrate the veil of dusk. 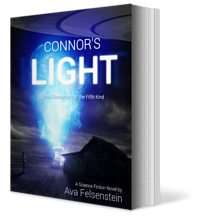 But only half an hour later, a multitude of diamonds are resplendent over Connor’s small, secluded world. He leans his head back and broods. It has got chilly, dark, and very quiet. The little hut lies in the embrace of the night, surrounded by a far distant horizon, an unending, silently shimmering expanse overarching above. Connor sits outside on his tree stump a little while longer and blinks into the starry sky. My science fiction blog is alive now – and I need your help!!! Dear reader, welcome on my science fiction blog. 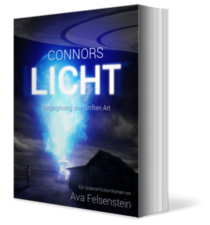 It’s dedicated to my recent novel “Connor’s Light – Close Encounters of the Fifth Kind” and I hope for some vital interaction with you. Last year my novel was released in German language as print book and ebook on Amazon. 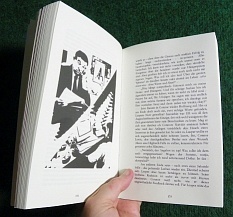 Now the translation for the English science fiction fans into English language is in process. While this happens I will present you the book chapter by chapter here on this blog. At least one every week. So you can already get an early insight into the science fiction novel in beta status and – what is very important to me! – you can discuss in realtime with me about how the read is for you. Why do I want you to read and to discuss the read at all? The answer is simple. The book was written in German language and since that’s my native language, I know how the read is in German. I knew how to make my protagonists speak, how to let them express their feelings, how to develope situations and so on. I felt stable in the saddle – in my language. But what’s with the English version? So I need YOUR feedback, what do you think; how is the read of the English version?! Tell me what you think. You can comment right under the postings or just write me by email avafelsenstein-BEEEP!-googlemail.com – I’ll see then if and how I can implement the changes you suggest. © Copyright 2013 Ava Felsenstein. All Rights Reserved.